Base Curve determining how the lense filts. It is usually an 8.x or 9.x number. Some brands use non-numeric base curves such as flat, media or steep. Pick the right colour for your choice and when you put this in your eye, it might look a bit different on each person depending on your original eye colour. The diameter of the lens. Most brands come in a couple of sizes. Usually a 14.x number but could be between 13.x to 15.x. Sometimes called 'sphere' or 'strength. Measured in diopters and always preceded by - (minus) or + (plus). Negative (-) powers help to correct short sighted conditions. Positive (+) power help to correct long sighted conditions. Add a dose of colour to your eyes and look attractive like never before. 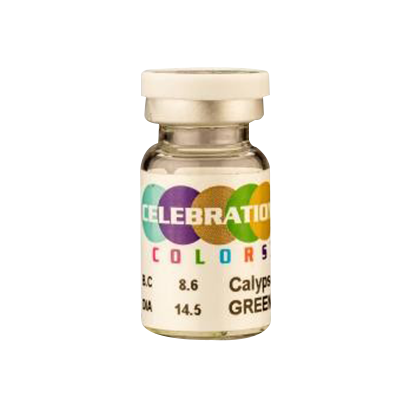 Celebration brings to you this pair of coloured contact lenses that not only gives you that tinge of colour but also offers unmatched protection and comfort. 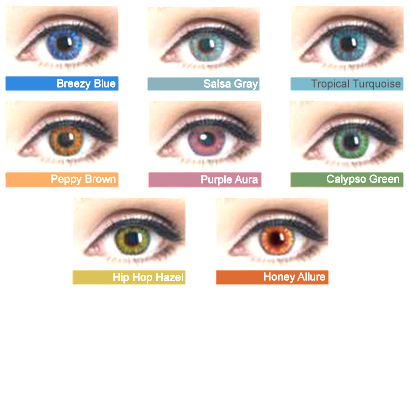 Whether you want to enhance your natural eye colour or are looking forward to completely change it, these lenses will help you in both. Being light in weight, you can barely feel that you are wearing one. Long lasting, these lenses could easily be worn all day long. So, forget the days of blurred vision and get ready to flaunt a new look everyday. Order this pair online today.